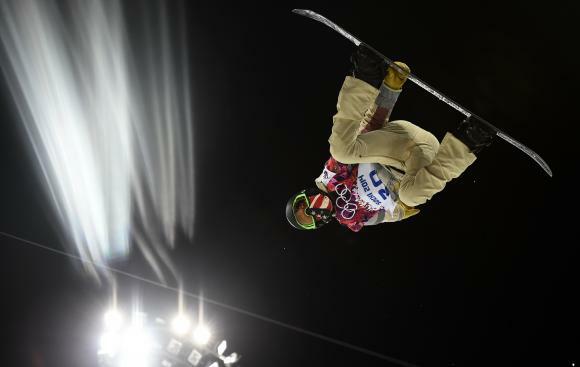 Shaun White of the U.S. performs a jump during a training session for the snowboard men’s halfpipe competition at the 2014 Sochi Winter Olympic Games in Rosa Khutor February 10, 2014. (Reuters) – American snowboarder Shaun White, one of the best known faces in winter sport, makes a belated bid for Olympic gold in Sochi on Tuesday when he tries to retain his halfpipe title. Women ski jumpers compete for the first time at an Olympics after their years of lobbying for a Games spot was rewarded. 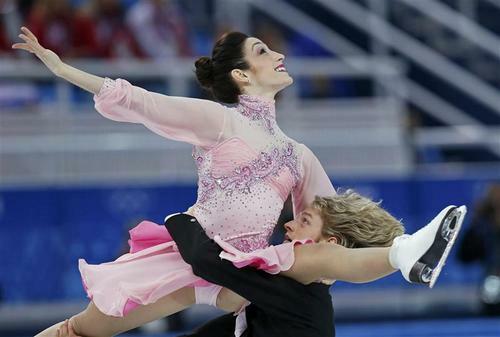 They make their debut on a day when eight golds are up for grabs. 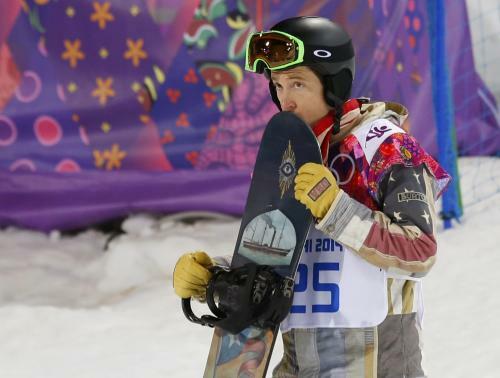 The pressure is on Californian White, seeking his third successive halfpipe title, after he pulled out of the new slopestyle event in Sochi because he thought the course was unsafe. 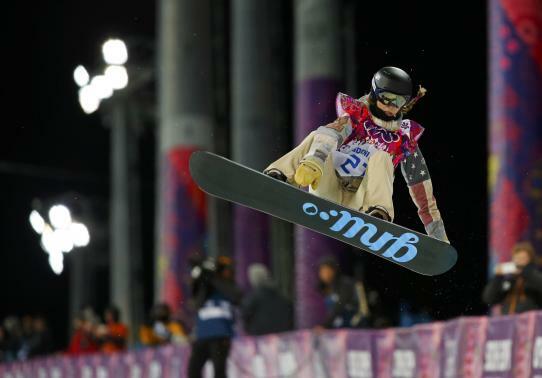 To add to the stress, training for the halfpipe — its name refers to the ramp from which competitors take off — was postponed on Monday because the course was in poor condition. The women ski jumpers get their chance after petitioning the International Olympic Committee (IOC) to grant them a place on the program. The IOC had argued there were not enough good women jumpers to guarantee a quality competition. The clear favorite is 17-year-old Sara Takanashi from Japan, who mastered balance in ballet classes at a young age and has built up a huge lead in this season’s World Cup. Her main rival should be Sarah Hendrickson but the American suffered a bad injury last August and has only just regained fitness. In cross-country skiing, Norwegian “Iron Lady” Marit Bjoergen goes for her second gold of the Games in the sprint. Bjoergen was the most successful athlete at the Vancouver Games in 2010 when she won five medals. Compatriot Petter Northug will seek redemption in the men’s sprint after finishing down the field in the skiathlon on Sunday. Northug, whose training for Sochi was disrupted by illness late last year, faces a tough battle with defending champion Nikita Kriukov of Russia. Anastasiya Kuzmina, born in Russia but competing for Slovakia, is aiming for a biathlon double in the pursuit after already having won the sprint in Sochi. Germany is the dominant nation in luge and Natalie Geisenberger is tipped to extend that pattern in the women’s singles. South Korea’s Lee Sang-hwa is the favorite in the women’s 500 meters speed skating, while Canada will be expecting Kaya Turski to strike gold in the women’s slopestyle in freestyle skiing, another new event.